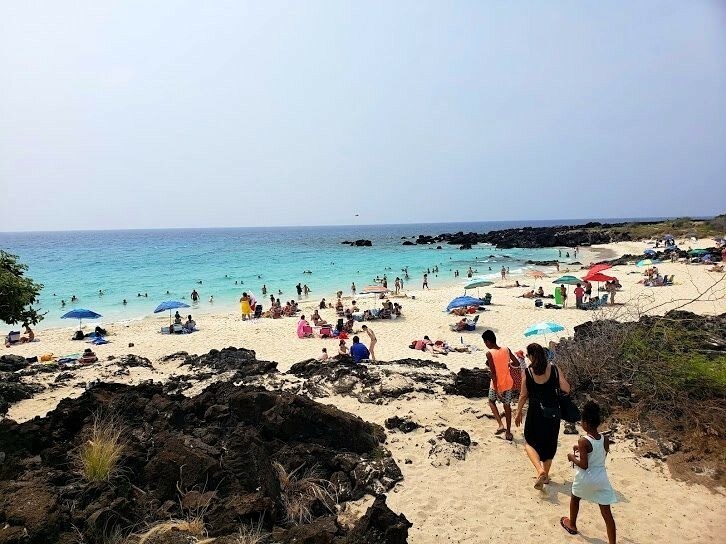 5 Things My Family Did In Kona On Our First Trip To The Big Island of Hawai'i! 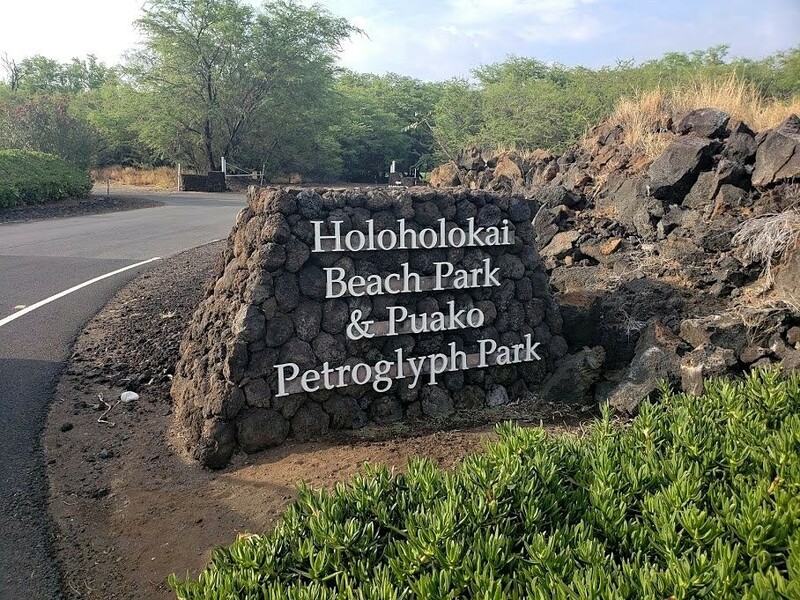 5 Things My Family Did In Kona On Our First Trip To The Big Island of Hawai’i! We had such an amazing time on our first trip to the Big Island of Hawai’i! There is so much to do and see, plan on taking your family to this beautiful destination. 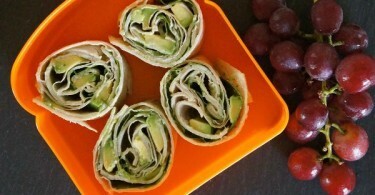 Have you ever taken your family to visit Hawai’i? 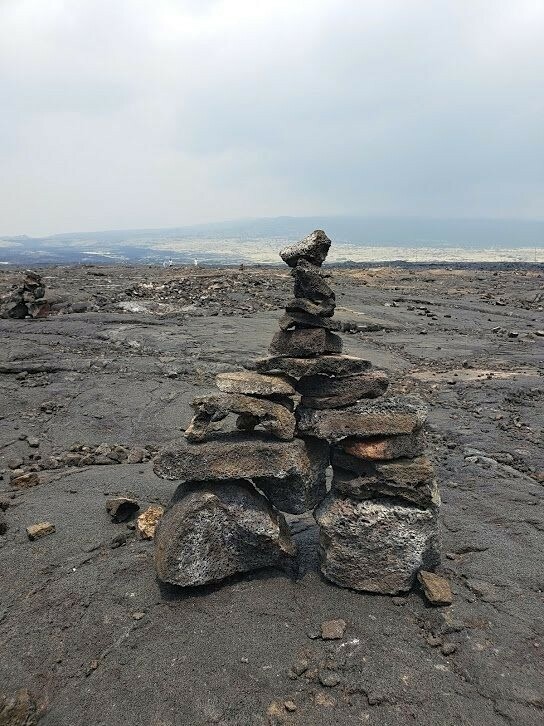 How abut the Big Island? 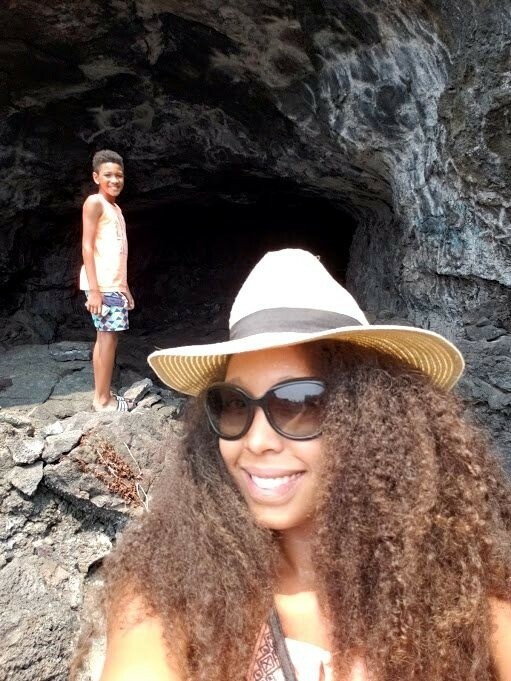 We took a vacation this year for the 4th of July to the Big Island for the first time and it is full of natural beauty and wonderful things to do for everyone! There are a bunch of amazing waterfalls, beaches, and volcano viewing activities, but we were kinda limited on time and not able to head to the areas around the volcano and lava flow on the island. 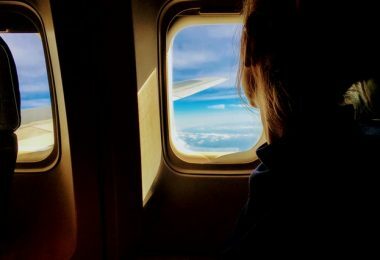 Here are some fun things we did during our week long trip, I highly recommend planning your own vacation to the Big Island to visit Kailua Kona! When you visit Hawai’i, you HAVE to go to the beach. Am I right? It’s almost a travel sin if you do not experience the gorgeous ocean water when you’re on an island. We were told that Manini’owali Beach was the place to go, the locals love it and it was about 15 minutes from our condo. They were absolutely right, because the turquoise water here was amazing! 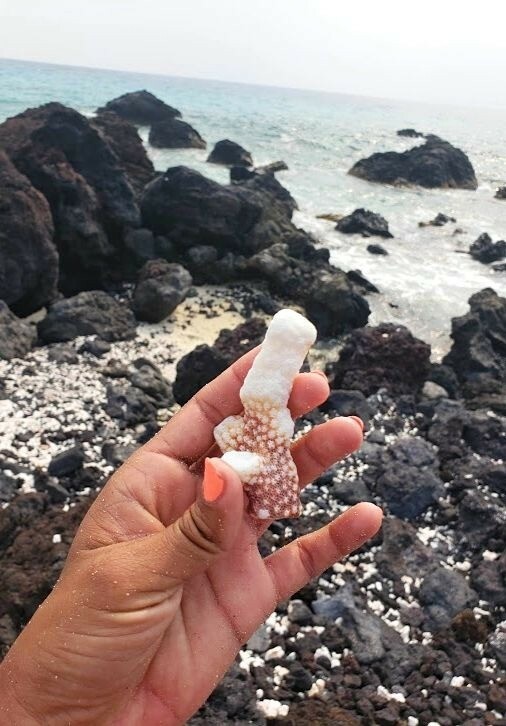 We swam, got knocked over by a few strong waves, and hiked around on the lava rocks where there were tons of shells and coral washed up from the ocean. I was happy to see many locals here, I do try to do some of the local activities when I travel and it was nice to not really see many tourists. Before we made it to the beach, we were driving along the HI-19 and saw a bunch of cars pulled over. We slowed to look and noticed a huge, natural lava rock cave! We pulled over and got out to check out the magnificent sight. Afraid to go in, we looked on for a while and saw a little girl run in there by herself, as well as many other families coming out. 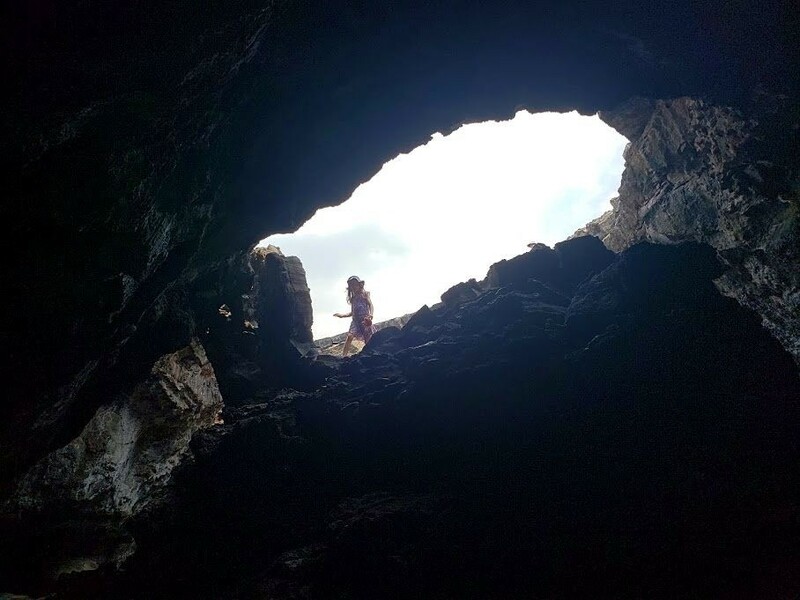 In we went, and it was just so neat to see how a cave was created from an old lava flow! 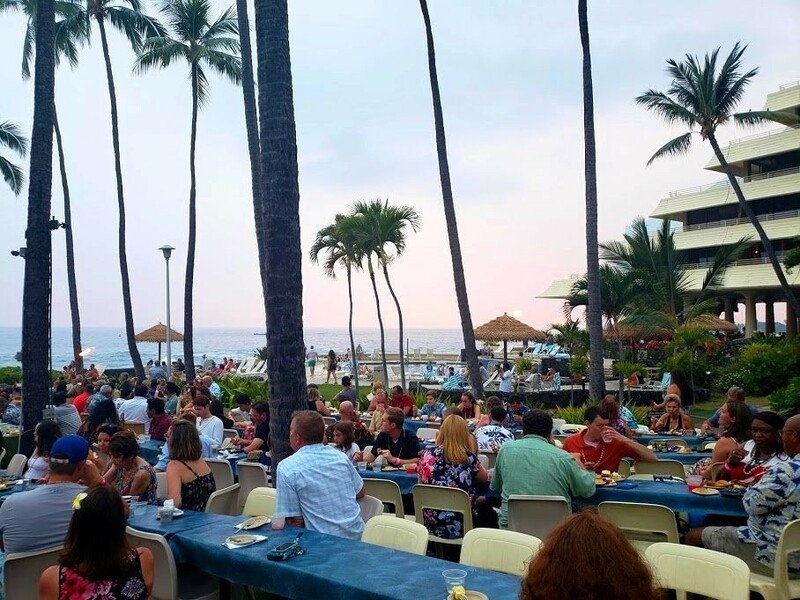 When you take a trip to the Big Island, or visit any island in Hawai’i, a luau is an absolute must. 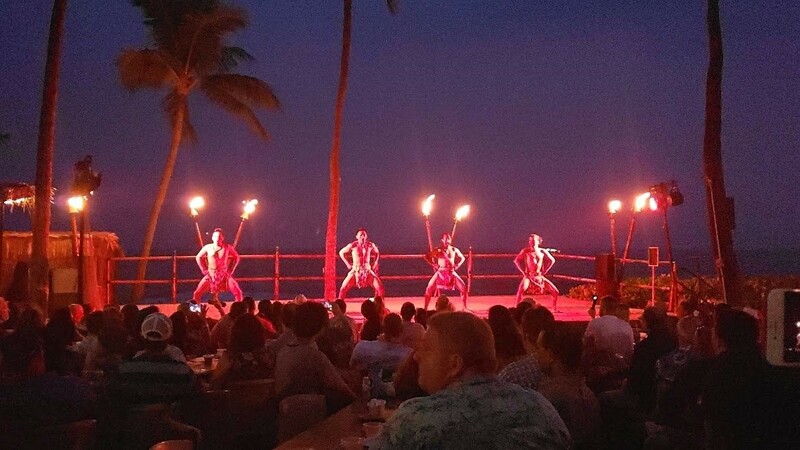 We booked the sunset luau the Royal Kona Resort and it was such an amazing show! 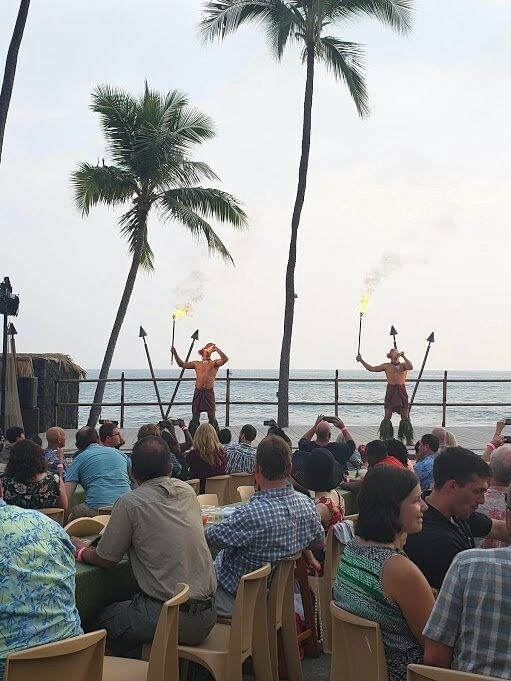 Mai Tai’s were served upon arrival, they shared their traditional way of cooking food in the underground oven, and wow’d the crowd with beautiful cultural performances from different regions of the islands. 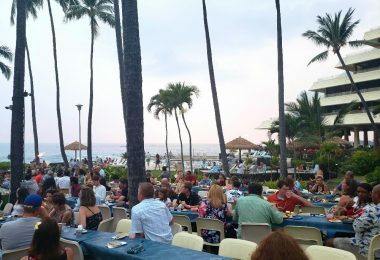 The food was amazing and they brought my sister up on the stage to dance, I highly recommend this luau for the whole family! Get there early, seats are available on a first come, first served basis. 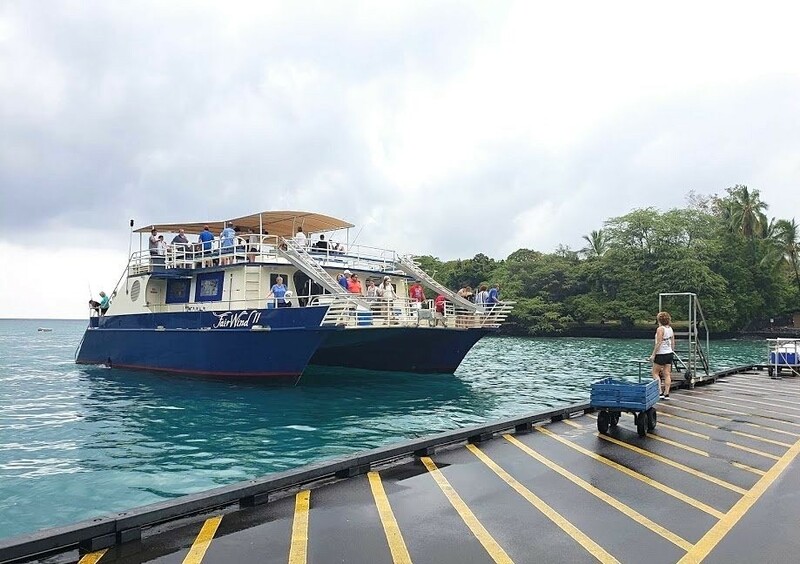 A snorkeling tour is necessary when you visit Hawai’i, so we decided to take one that offers the works with Fair Wind Cruises. My kids had never been snorkeling, so we opted for the shorter afternoon cruise and were pleasantly surprised! The waters were calm, fish and under water life were active, and we slide down those catamaran slides to our hearts content! On the boat ride, we were fit for our snorkel masks and fin, there were snacks, drinks, a little music, and we were treated to a lovely view of the Hawaiian coast line. The highlight at the end? 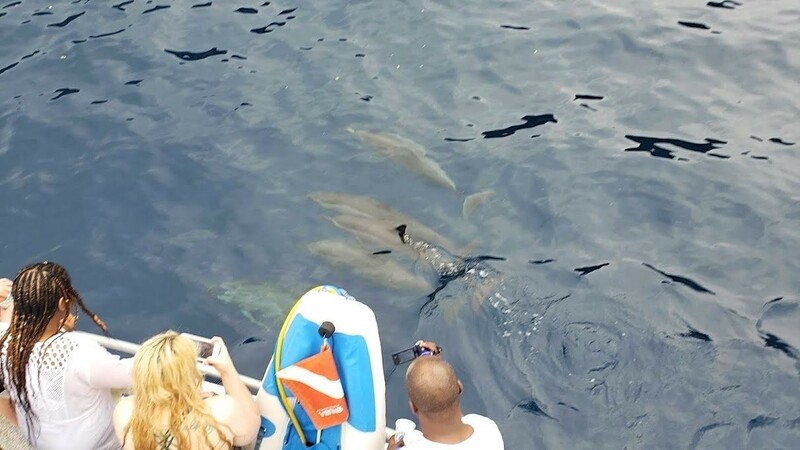 Not one, but TWO dolphin pods surprised us as we headed back to the dock! This was really interesting – you hop in the car in 85 degree, sunny weather, head up the mountain, and 20 minutes later, it’s pouring outside! 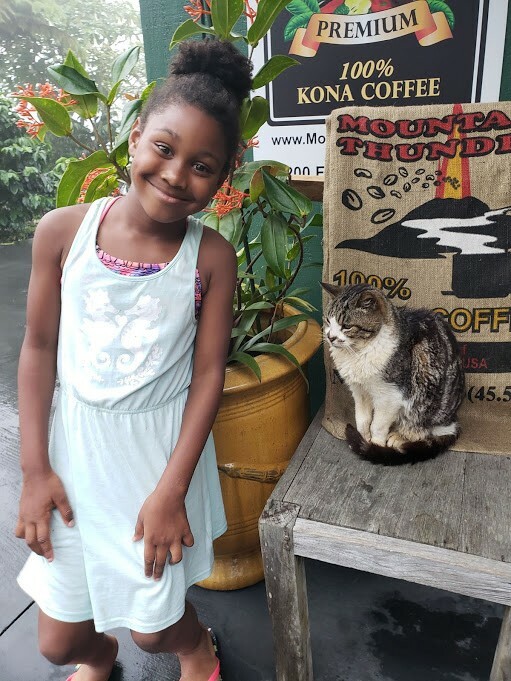 Mountain Thunder Coffee Plantation was the destination, and they have got this coffee thing down! 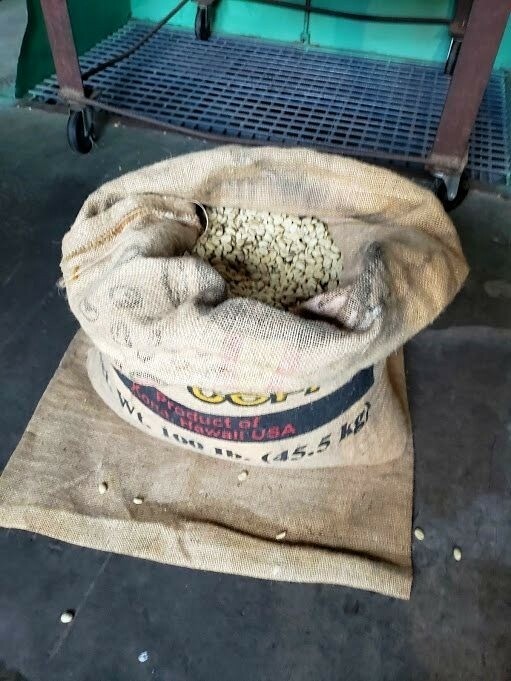 Here, they grow the coffee beans in the perfect climate, harvest, roast, seal, label, and sell the coffee in their retail shop. They have free tours every hour as well as longer, paid VIP tours, and samples of various roasts throughout the day. I couldn’t get enough of the Vienna roast and I bought two bags! 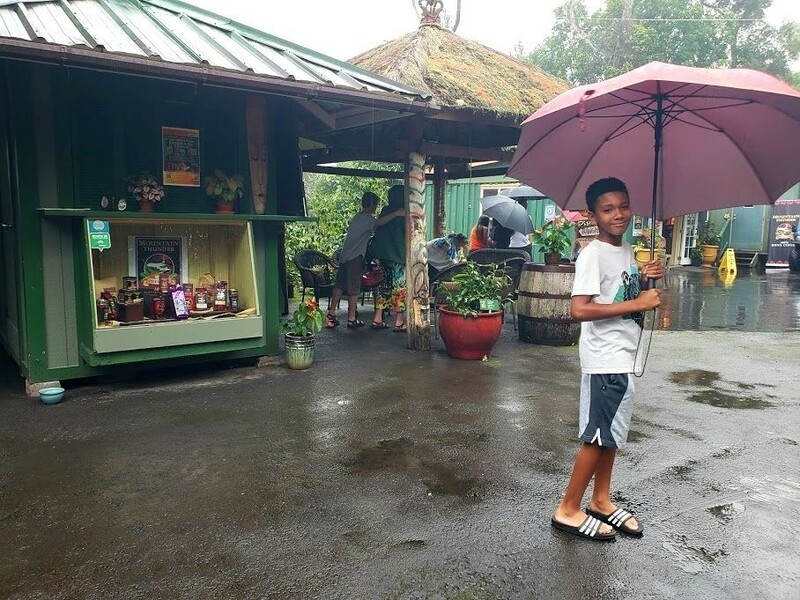 If you’re a coffee lover, this is the place for you when you take a trip to the Big Island. 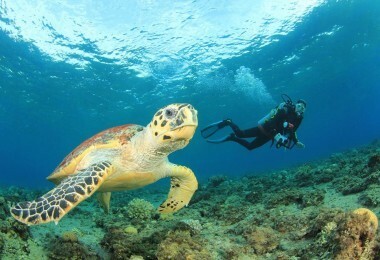 Take a trip to the Big Island of Hawai’i! We loved everything we got to experience here in Kailua Kona, Hawai’i! My kids loved swimming literally every day the most and seeing the colorful fish in the ocean. As for the adults? We enjoyed relaxing and bonding, and of course, the Mai Tai’s. 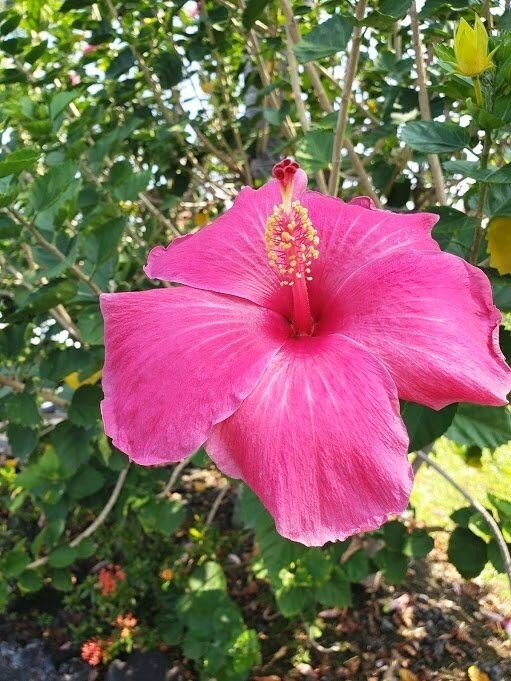 The island is beautiful, locals are friendly, and there is so much to do and see! 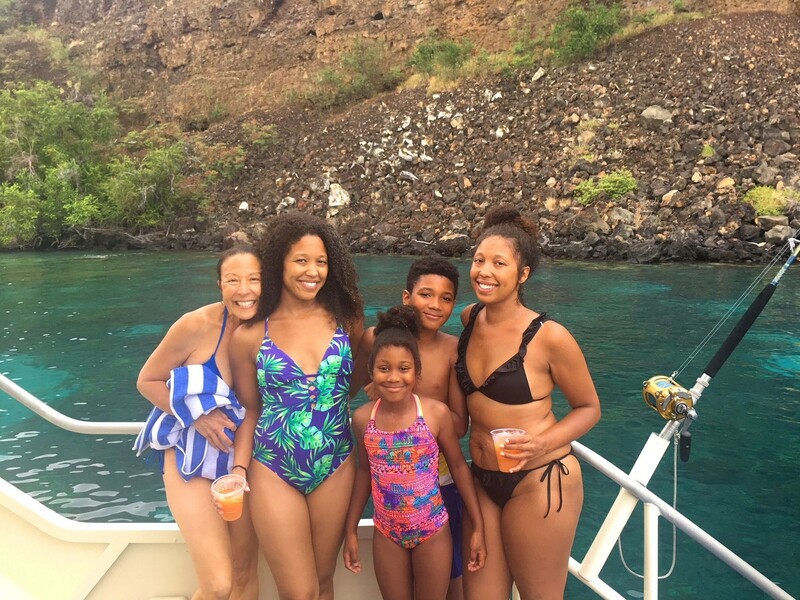 Take your family on a Hawaiian vacation, you will LOVE every moment. 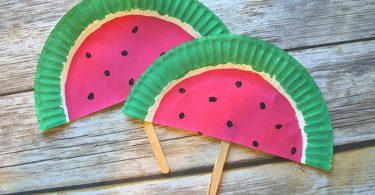 DIY Paper Plate Watermelon Fans Craft – Such A Cute Summer Activity! Very insightful and and easy to comprehend. 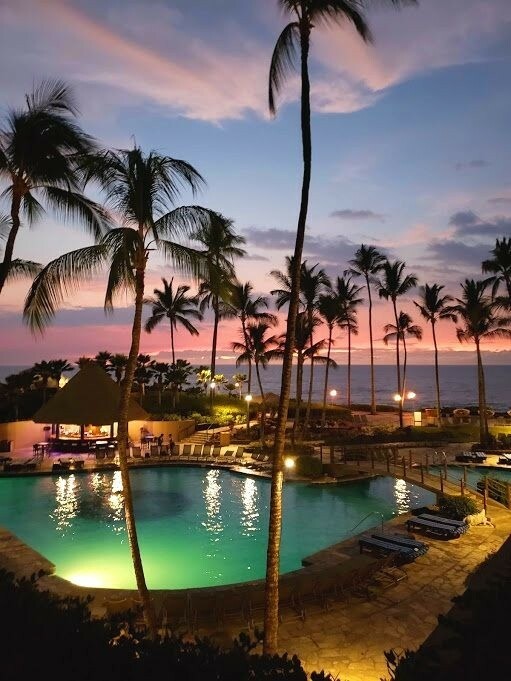 I always wanted to visit Kona coast and Hilo Hawaii and did not have much info on what to do or how to plan to go. Thank you!